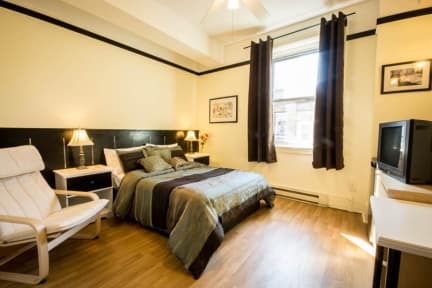 Located in the heart of downtown Montreal on the famous Sainte-Catherine street and now under a new administration, Hotel Villa will charm you with its renovated architectural design dated from the 1920's. 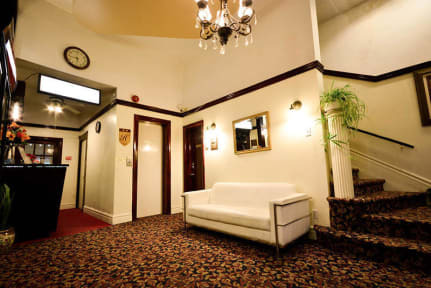 Hotel Villa is a quality two star hotel conveniently located in the heart of downtown and only two steps away from the Place-des-Arts and its Quartier des Spectacles to let you experience the rich and cultural scene in Montreal. Find out why it is considered as one of the best and most animated cities in North America! The hotel's accommodations, amenities and services are tailored to suit your individual needs. Whether you're planning a business trip, a family vacation, a business meeting, or an important social gathering, you can always count on Hotel Villa to make it a memorable experience. 14.97 % TAX is excluded. 3.50 % City tax is excluded. A service charge is not applicable. Please note that the mandatory taxes of Quebec and Canada are not included in the rate. Add 19.25% to your balance due. Age restriction: Minimum 18 years old. Our cancellation policy is 48hrs prior to arrival. - This policy does not apply during special periods mentioned below.